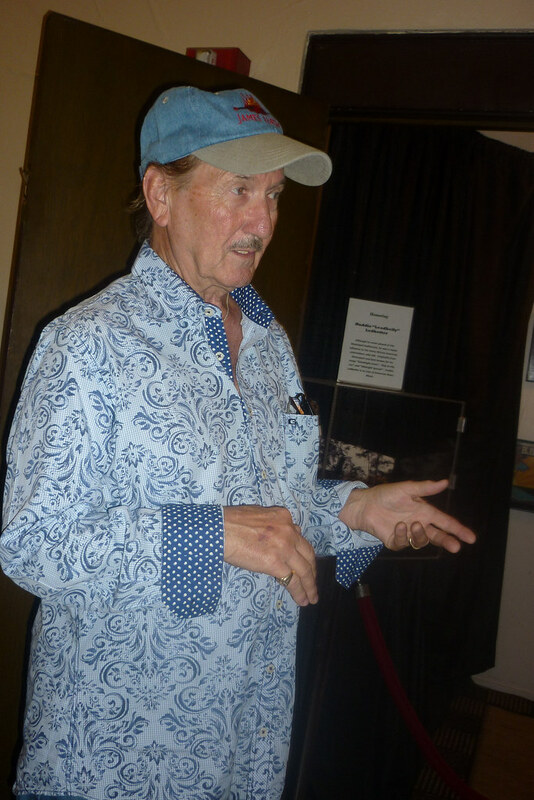 Forays of a Finance Foodie: Elvis' "Axe Man" James Burton: A Guitar Legend Bites The Big Apple! Elvis' "Axe Man" James Burton: A Guitar Legend Bites The Big Apple! This is going to be a big weekend for fans of James Burton, Louisiana native who is most famous for being Elvis and Ricky Nelson's lead axe man and for inventing what has come to be known as the "chicken pickin' style." Burton never seems to play in New York and when I asked him about it, he joked that they don't offer him enough money up here (well, I am pretty sure he was joking, LOL)! The only times I can recall that Burton played here in recent times was when the TCB band--Elvis' backup group from the 70s who still tour together on occasion--played at Radio City as part of an Elvis tribute back in February 2011. Burton is playing at the intimate Iridium nightspot at both 8PM and 10PM this Friday and I can guarantee that a "player's player" like himself will bring out several guitar "heavies" who will want to jam with him. On Saturday, he will be playing a free show with Sleepy LaBeef and Nick Lowe simply called Rockin' Rockabilly at 6PM in Lincoln Center's Damrosch Park bandshell (for more info, go to lcoutofdoors.com). The Lincoln Center Out Of Doors concert series every summer has enough outdoor space to encourage dancing by attendees, so it's a lot of fun. Be prepared for members of the crowd to have on their rockabilly finest; some of the crowd will be old enough to have saved their rockabilly garb from "" but no doubt there will be Brooklyn hipsters wearing DA's and ponytails as well. I was lucky enough to get to hang out with Mr. Burton at both his offices and at the Municipal Auditorium in Shreveport, LA a year-and-a-half ago. I was down there on a press trip that encompassed everything musical and culinary in northern Louisiana and I kind of combined both when Mr. Burton and my crew of "press junketeers" shared a dozen or Southern Maid donuts in the hallways on the auditorium. It's a great place to visit as the front lobby is lined with memorabilia from legendary artists who played the Louisiana Hayride, which was broadcast from the Shrine. There are Elvis' famed jumpsuits, some of James Burton’s stage clothes and guitars, along with stage clothes from country legends. 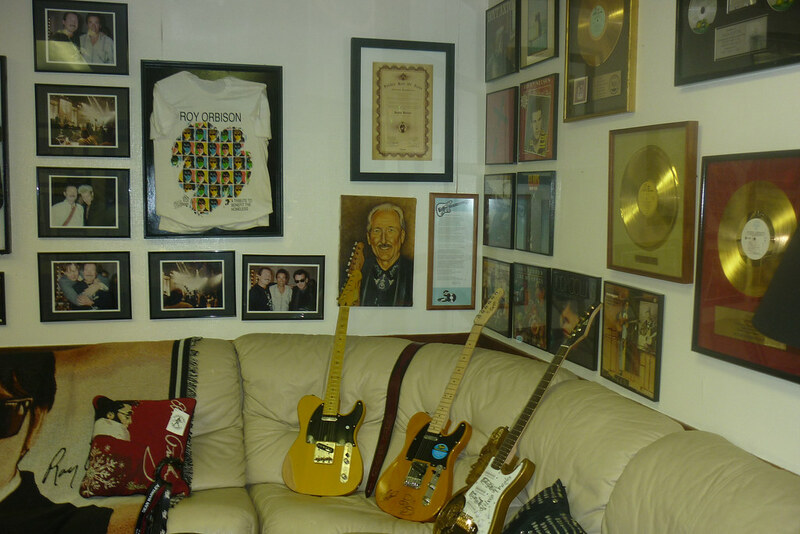 Burton's office is directly across the street and not surprisingly, the walls of his office are lined with covers of nearly all 300 albums he played on. Artists range from Elvis (naturally) to Gram Parsons to The Monkees to John Denver and back again. For those of you going to James Burton's shows on Friday or Saturday night, get ready for him to play some of the music that made him famous. I'm betting that not only will he play the record that put him on the map when he was just 17 (Dale Hawkins' "Suzy Q") but most likely Elvis' "Suspicious Minds" and "In The Ghetto" (I particularly love Burton's playing on those). Did I leave out "Travelin' Man" and "Hello Mary Lou" by Ricky Nelson which Burton made so memorable with his unique licks? I will continue coming up with a song list between now and show time on Friday and check it off as Elvis' sidekick kicks them off one by one but might even become a "pushy New Yorker" and hold up a sign of what I want played, LOL! 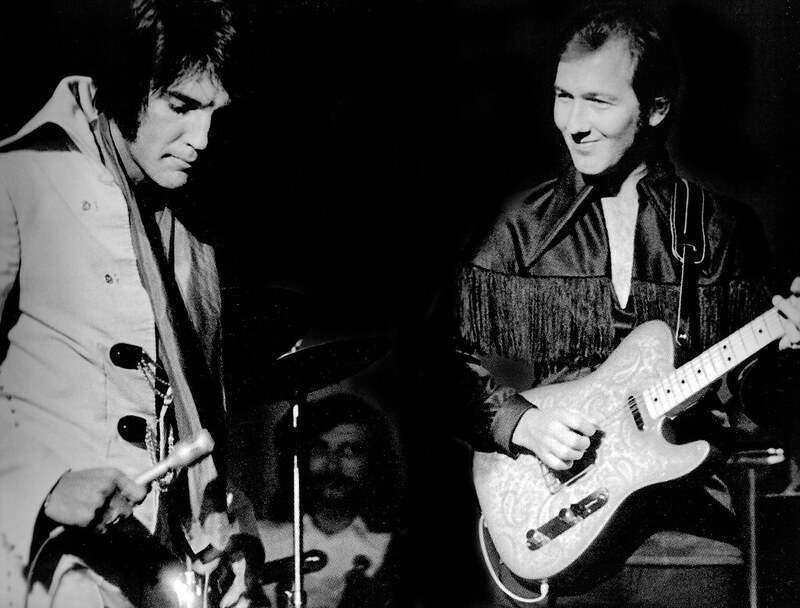 Publicity Photo courtesy The James Burton Foundation; B/W Photo Of James & Elvis live at Madison Square Garden by Dagmar/Courtesy The James Burton Foundation. All other photos by Anne Raso.